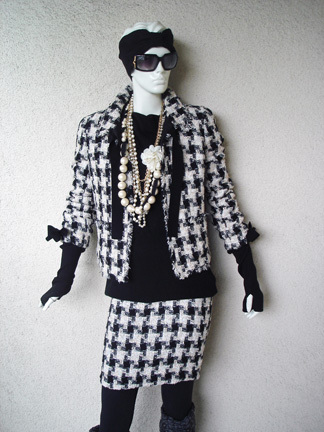 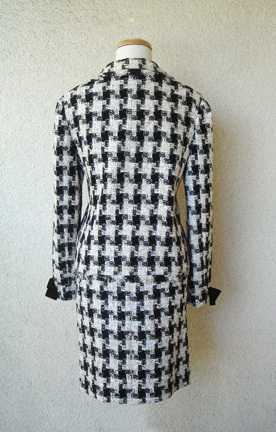 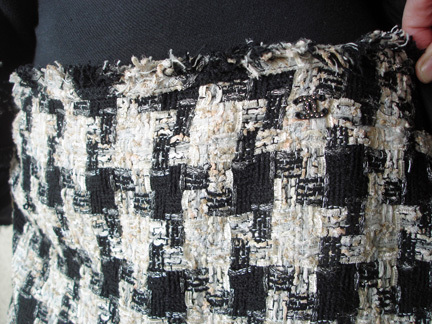 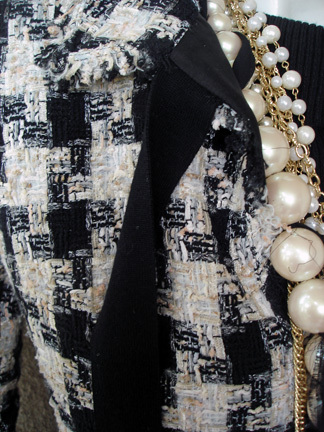 Fabulous Chanel black and white boucle houndstooth suit with signature raw edge detail. 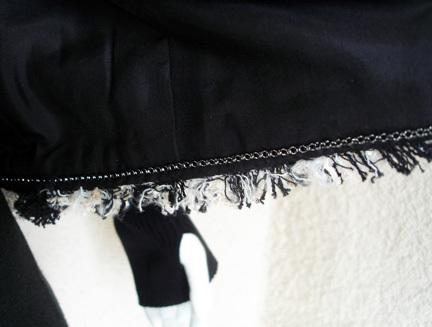 Features elasticized wristband with bow adornment; neckline tie closure and chain hemline with 2 raw edged pockets. 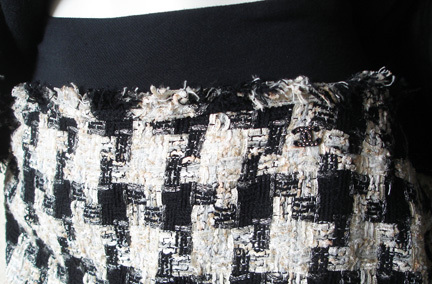 Skirt has double "C" logo at waist with no waistband. 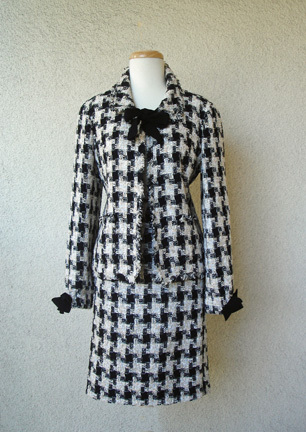 Jacket size; 40; bust: to 37-38"; length: 24"; sleeve: 23"; shoulder: 16"
Skirt size: 42: waist: to 32"; hips: to 37"; length: 23"